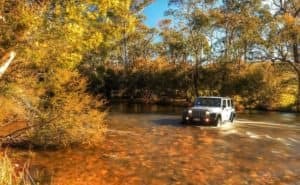 Car Maintenance Tips to Get your Car Ready for Fall " "
Summer is over, and the beautiful fall air has begun to blow in. While the time of the year that many know as harvest season has long been an important one for many people, have you ever thought that the time of gathering and preparing is also an important season for your vehicle? So, how do you prepare your Chrysler, Dodge, Jeep, or Ram for the challenging winter ahead? It’s simple really – just follow this easy to use Fall car maintenance plan, prepared by the experts here at Orchard Chrysler Dodge Jeep Ram. Check the brakes and tires. The truth is no matter where you roam this winter, you could find yourself needing to navigate challenging roads. To stay safe on every road your vehicle will need strong stopping power, thanks to hard-working brakes and tires. So, be sure to have both your tires and brakes inspected before the cold winter months arrive. This is also a good time to rotate your tires, so that they wear evenly. For those who live regions where giant snow piles and ice storms are the average norm, you may want to start thinking about a set of snow tires. Bonus Tip: Be sure to also check the tire pressure for your vehicle’s spare tire to assure you aren’t left on the side of the road with no way to get where you need to go. Keep fluids filled. 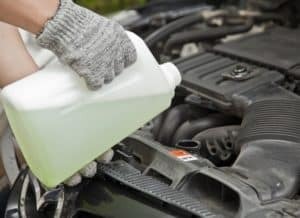 The next and one of the most important car care tips on this list involves checking the fluids that keep your engine running. If you notice anything like the transmission, power steering, brake, antifreeze/coolant and even windshield washer fluid running low this is the perfect time to top these off. If your vehicle hasn’t had an oil change in the recommended 3,000-5,000 miles this is also an ideal time for this very important fluid service. Assure no frays or tears. The above fluids are unnecessary if the hoses and belts that use these liquids are cracked, brittle, frayed, loose or showing signs of excessive wear. Before those cold winter months do more excessive damage, be sure to check all the hoses and belts in your vehicle’s engine to assure that your family isn’t left stranded this season. Keep the heartbeat strong. What would any vehicle be without its beating heart? A fully charged battery keeps any vehicle running at its best. Have the battery and charging system inspected by a trained technician who can replace it if required. If you see signs of corrosion on the battery terminals or cable ends or if you spot loose connections, your battery needs attention. Don’t wait until the battery light comes on as this is never a good sign. Refill cooling system. While this may seem like a strange request, experts at AAA recommend having the coolant level in your vehicle’s engine overflow tank. If the level is too low, add a 50/50 solution of water and coolant to allow proper antifreeze capability. Keep the lights on. The last thing you want to be on a cold winter night is trying to find your way in the dark. So, be sure that your vehicle’s harvest time car maintenance plan includes a complete inspection of your headlights, taillights, parking lights, brake lights and emergency flashers. Replace all broken bulbs and those that have stopped working. Make sure all lights are clean. If you own an older vehicle with sealed-beam headlamps, you might want to pony up for halogen lamps for improved visibility and safer driving. Small but mighty part. Finally, be sure to keep one of the smallest parts on the outside of your vehicle working and in proper working condition. If your wiper blades are cracked or worn it’s time to replace to assure that you can continue to see the road ahead despite the weather. While you’re out enjoying this beautiful fall season, don’t forget the vehicle that makes these memories so important. Contact Orchard Chrysler Dodge Jeep Ram today to schedule your fall maintenance plan.